Advent leads us to the Silent Night when the whole world finds joy. 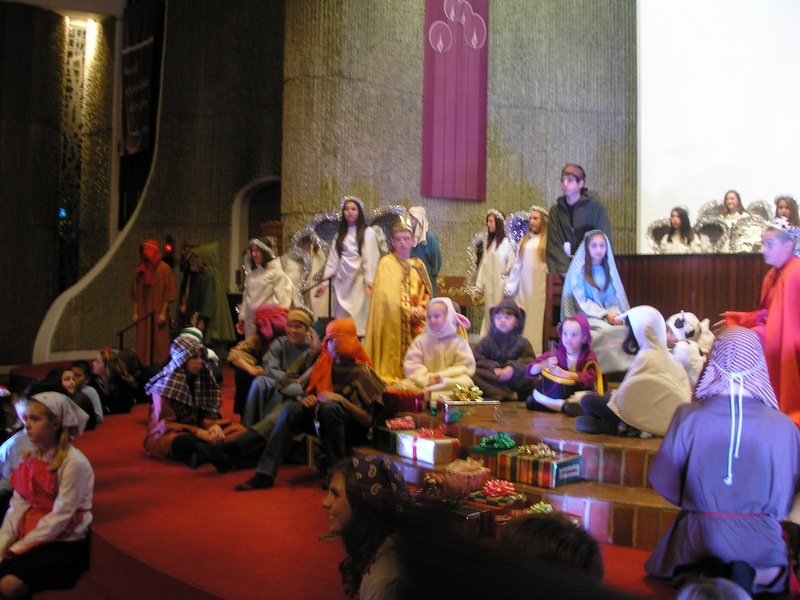 Tonight was Carol Night for the kids at St Pius X School. It is an annual tradition. I say this with a heavy heart for this will be the last year that my family will be actively participating in it. 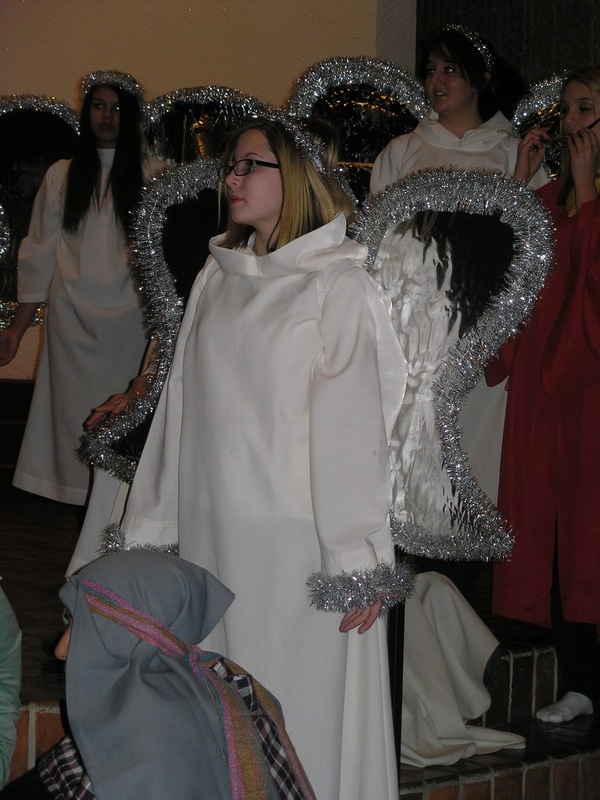 My daughter Christine is an angel this year, her last year at Pius. For the catholic faithful, the singing of Hymns and carols can be a way for families and neighbors to reflect on the wonderment and joy of Advent and Christmas. The birthplace of the true Christmas carol was Italy. In the 13th century, Saint Francis of Assisi was the first to introduce the joyous carol spirit, which soon spread all over Europe. Saint Francis wrote a beautiful Christmas hymn in Latin (Psalmus in Nativitate), but there is no evidence that he composed carols in Italian. From Italy the carol quickly spread to Spain, France, and Germany. It is still practiced today. 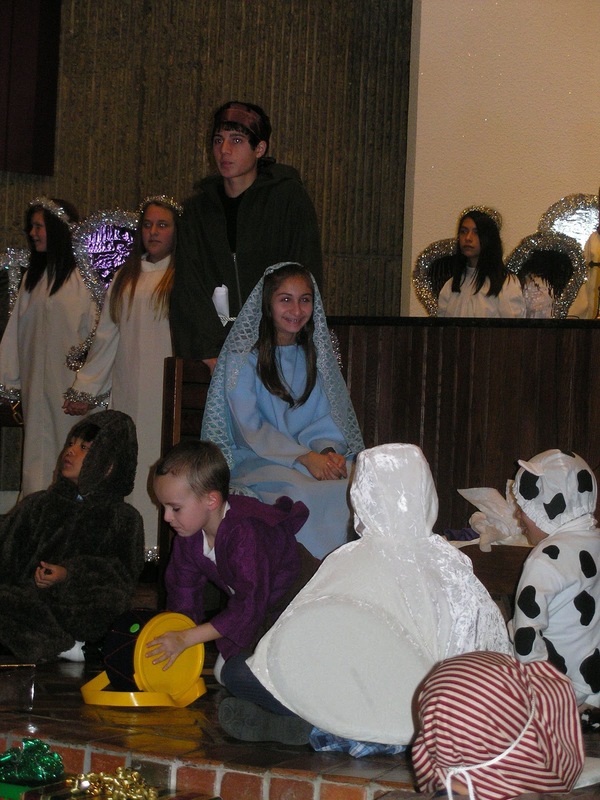 My daughter Christine was an angel this year. Another tradition we celebrate is the giving of gifts. 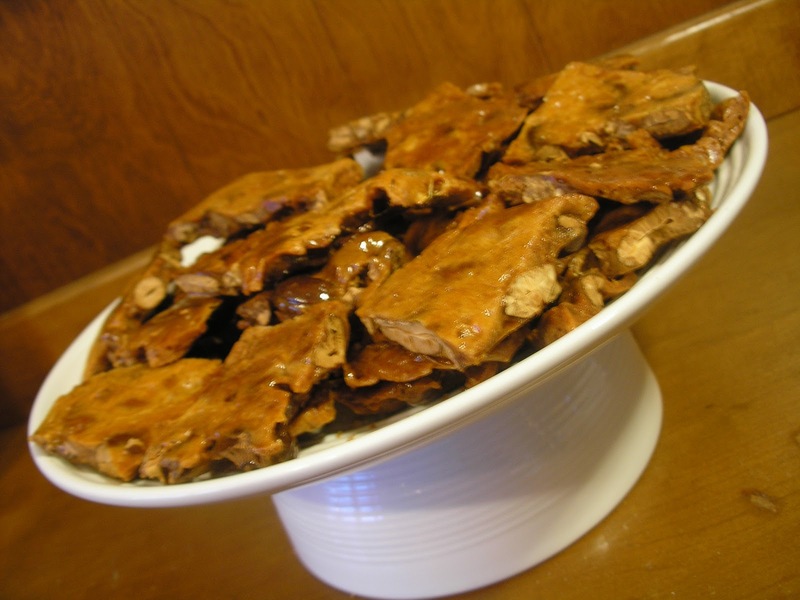 My mother-in-law always makes brittle this time of year. She makes a tray of her goodies and gives it to each of her children. The brittle in the post is not exactly hers, I have taken the recipe and tweaked it a bit and made it my own. Combine sugar, Karo syrup, water and butter in 2-quart glass container; microwave on HIGH for 3-5 minutes (soft ball stage). Toast your cashews. Remove from microwave. Add cashews and cook and additional 3-5 minutes. mixture reaches (brittle stage). Keep in mind microwaves vary so you may want to watch and make sure yours does not burn. Meanwhile toast your coconut flakes. Stir in coconut, vanilla extract and baking soda.This temperature is very important as the brittle will remain sticky if this temperature is not reached. Pour onto buttered pan, working quickly. Push to edges with spatula so mixture won’t stick. At this time you may be temped to taste, please don’t it is very hot and WILL burn your mouth.When cool, break into pieces and store in airtight container. Makes 2 pounds.